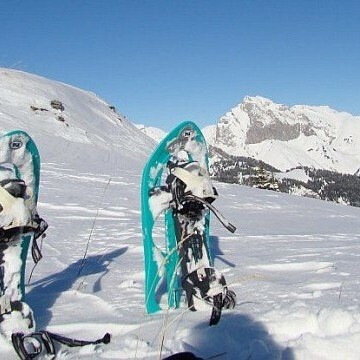 In Sainte-Foy conditions are perfect for your children to learn to ski whilst having fun. An instructor just for you! A guaranteed way to progress at your rhythm with customised tips. 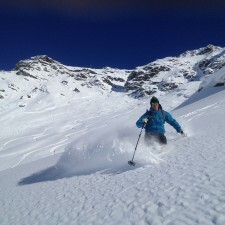 The Sainte-Foy off-piste area is the Tarentaise Valley’s best kept secret. Our instructors and guides will reveal them to you. 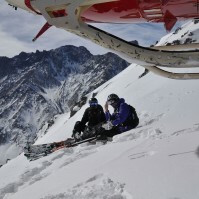 Only a few kilometres from the Italian border, Sainte-Foy is an ideal base from which to experience heli-skiing with a capital H.
An ideal activity for non-skiers, an enjoyable moment discovering nature for all the family to experience together. The most recent ski resort in the Tarentaise valley, Sainte-Foy is a small hidden paradise, certain to win over families, passionate skiers and nature lovers looking for charm and tranquillity. Traditional Tarentaise architecture (stone, wood and slate) with modern comforts, this small village will offer you an enchanting welcome. The pistes, winding through the larch and spruce forests, are perfectly adapted for little ones and adults to progress. Higher up, at the top of the Aiguille ski lift, the scenery changes with the imposing glaciers hanging from above. The infinite playground of virgin powder that remains fresh and untracked well after the last snowfall will seduce off-piste lovers. In Sainte-Foy, the most recent of the Tarentaise ski resorts, you can ski without stress and with no lift queues, but don’t tell anyone, it’s a secret! At Snocool we have decided to prioritise direct contact via email or telephone. Misha will answer all your questions and respond to your booking requests within 24 hours. She will help you to sort out all the smallest details of your booking. The result – no nasty surprises and no time wasted once you arrive in resort.